Did You Win MMA Thriller A VIOLENT MAN On DVD? We've got two DVDs of the mixed martial arts thriller to give away to UK readers. 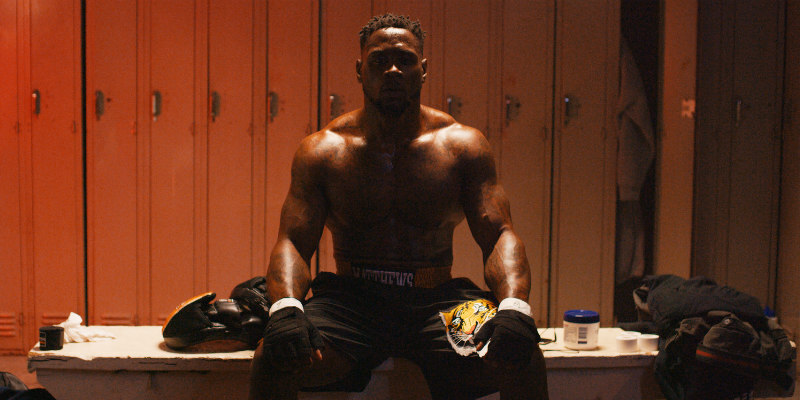 When aspiring MMA fighter Ty (former NFL player Thomas Q. Jones, Straight Outta Compton, Luke Cage) becomes a sensation after a viral video reveals him beating the undefeated world champion in a local gym, he attracts the attention of Victoria (Denise Richards, The World is Not Enough) - a sports reporter looking for her next scoop. However, Ty becomes the prime suspect in a murder investigation that could end his fighting career for good, despite maintaining his innocence. But if he didn’t commit the crime, who did? Thunderbird Releasing will release A Violent Man on UK DVD May 7th, and we've got two copies to give away.